On 25/07/2017, Madhya Gujarat Vij MGVCL announced recruitment notification to hire candidates who completed LLB for the position of Assistant Law Officer. Qualification: Special LLB with minimum 60 % from Government Recognized University with regular course or five years integrated course in law with 60 % marks. Interested and eligible candidates can apply before 22/08/2017. Selection Will be Based either Written Test / Personnel Interview / Other Mode by the Madhya Gujarat Vij MGVCL norms or decision . Interested candidates meeting above criteria may apply “on line” on or before 22.08.2017 before 06.00 P.M. and the payment of fees shall be made at the Branches of State Bank of India on or before 24.08.2017. APPLICANT WHO HAS COMPLETED THE TASK NO. :- 6 (i.e. “FINAL SUBMIT AND CONFIRM APPLICATION”) OF ONLINE APPLICATION PROCESS SHALL ONLY BE CONSIDERED FOR FURTHER SELECTION PROCESS. Candidates are requested to apply, only if they are fulfilling requisite criteria. Since, we are not seeking all the documents at the time of application submission/ written test, candidate has to doubly ensure that he fulfills all the requisite criteria. All the documents of provisionally selected Candidates shall be verified at appropriate stage and if found not fulfilling any criteria, his candidature shall be cancelled immediately and his shortlisting in selection list shall not be a ground for claiming appointment. 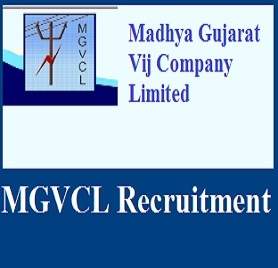 Address For The Job: Madhya Gujarat Vij MGVCL, Vadodara.